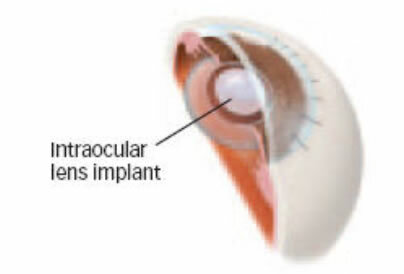 A cataract is a clouding of the eye’s naturally clear lens. 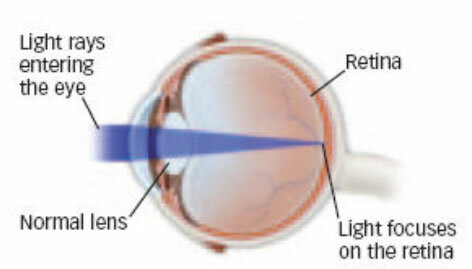 The lens focuses light rays on the retina — the layer of light-sensing cells lining the back of the eye — to produce a sharp image of what we see. 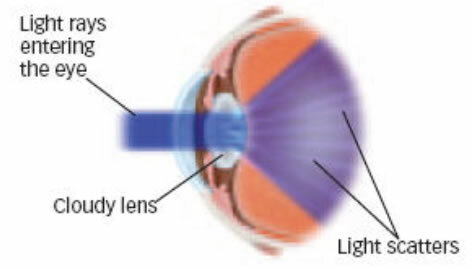 When the lens becomes cloudy, light rays cannot pass through it easily, and vision is blurred. 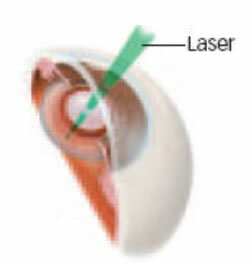 Light rays entering an eye with a normal lens. 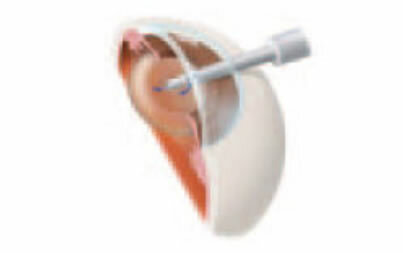 In cataract surgery, the intraocular lens replaces the eye’s natural lens.